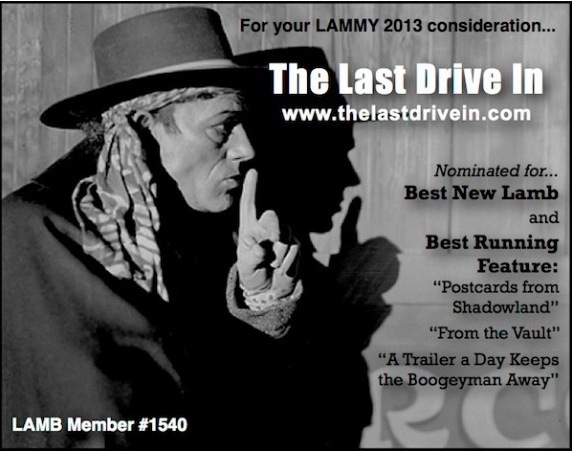 Let’s give a rousing cheer for the LAMBS and whoever wins this year… it’s an honor to have been taken into the herd…! Cheers-MonsterGirl -just a little lamb in the big scary world. Previous Previous post: The Fantastically Huge World of Mr. B.I.G: Bert I. Gordon – An Intermission with special guest blogger GoreGirl! Hooray! I’m pulling for you!